I have found C++ implementation of exactly the same thing I’m doing here. 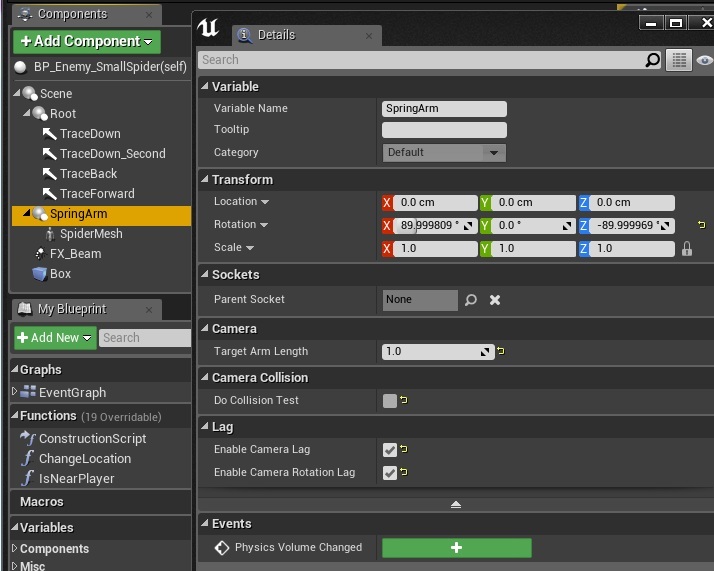 If you are more advanced UE4 user you can read his implementation. Create new blueprint extending from Actor. This part is critical if you change rotation of something it won’t work! Be careful when creating hierarchy. Those are critical because they are used to check walls and they are driving movement. Spring Arm is used to interpolate mesh location and rotation because location / rotation of this actor is changing in tick. You could get weird results when tracing when it’s interpolating position/rotation. 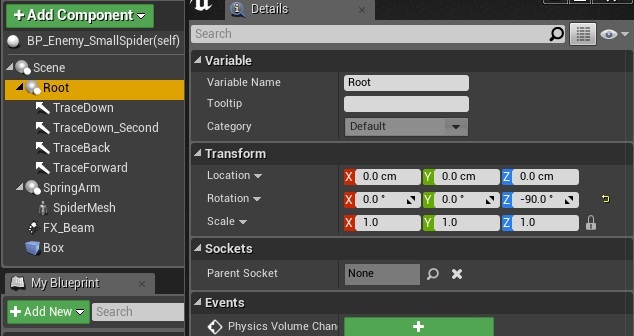 Skel Mesh Component – SpiderMesh. 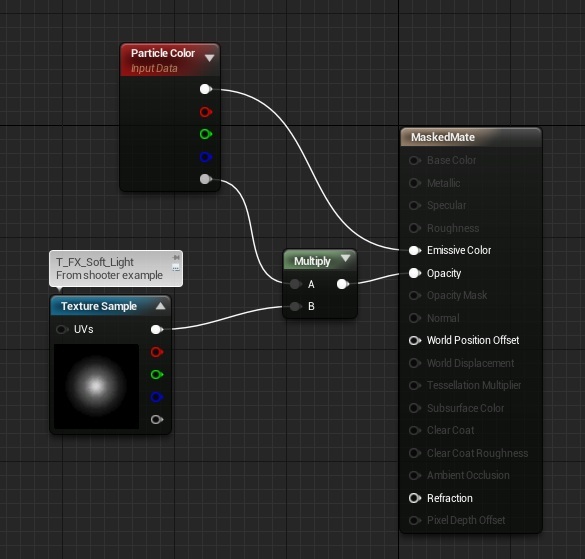 Particle System Component – FX_Beam. Template: P_electricity_arc which can be found in Shooter Example. 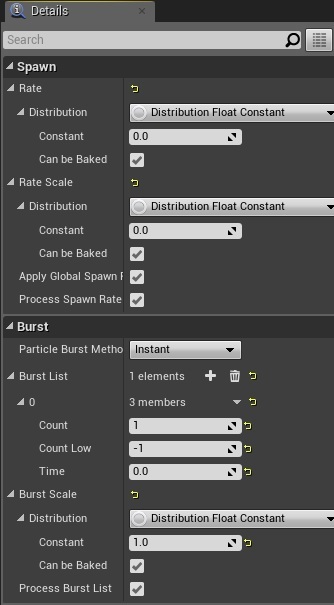 Later in this tutorial I will update this particle system. It will be used for collisions with bullets. Now implement I_TakeDamage interface for this Actor. 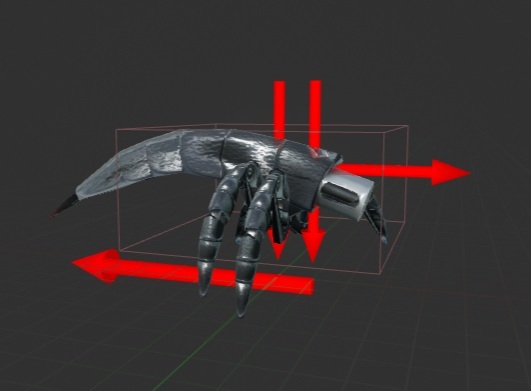 This function is critical for generating spider location and rotation. I would like to thanks Alexander Tsekhansky and Krystian Komisarek for big help with creating this! Now let’s go to Event Graph and create some events. Spider will move always forward. You could replace this with spline movement or make path. This is the simplest way for me. And now the most important event – Tick where everything is happening. So basically spider is checking if wall is in front of him – if yes move toward the wall. He is checking if floor is above him if not find next rotation in ChangeLocation function. Currently Spider will stop near player and play Attack animation. 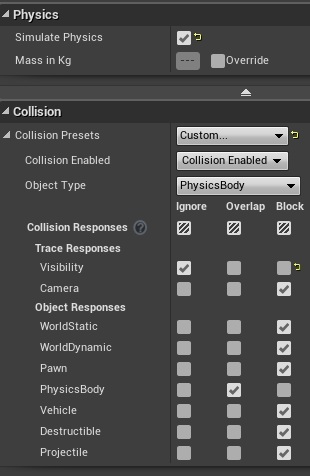 Create new Blueprint extending from AnimNotifyState. Name it SpiderTimeAttack. This is activating beam particle and select end point for beam. This is actually dealing damage to player. Now go to Attack animation and add this notify. I have changed some things in beam particle. And that’s all for the particle! Basically spider should be easy to kill and should explode after kill. Create new Blueprint extending from Actor named SmallSpider_Explosion. If you downloaded spider you should get sliced spider static meshes. Add them to this blueprint. 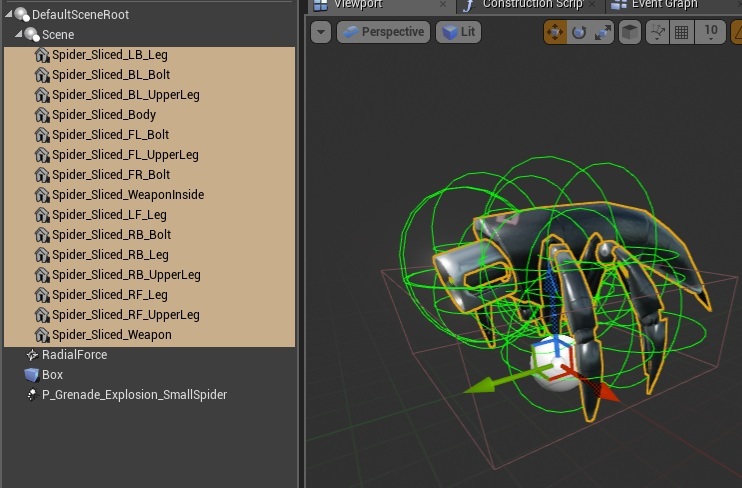 Add Particle System Component: P_Grenade_Explosion which can be found in Shooter Example. Last thing is to implement Take Damage events from interface on Spider Blueprint. This will spawn explosion and update health. This tutorial is bad example of Object Oriented Programming. 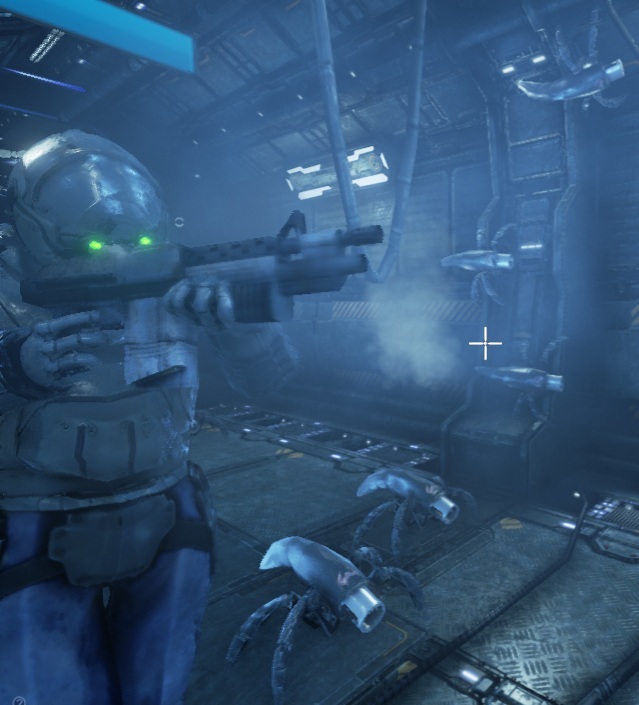 We cannot extend from BP_BaseEnemy because CharacterMovement component is causing issues with spider movement, and we needed to copy lot of functions we had in BP_BaseEnemy. Using OOP is not always good approach. Does this project use Unreal 4.8? Love the idea and I can see that you got it working but for me the spider always seems to disappear rather then climb the walls. Did this happen to you and if so do you have a fix? Hey Jason, yeah I don’t think the “Change Location” function works anymore. I spent a couple days confirming I had everything copied the same way and no dice. Also -make sure to download the blueprints and cross check your work with his. Some of what’s been JPG’d for the tutorial does not match what’s in his actual blueprints. Also the anim blueprint is never addressed, trying to work that out myself. As far as the spider disappearing – I get the same. Might be a version mismatch or something, I’m in 4.10 and it flat out breaks the spider. If I place one right in front of the player and move back, it zooms away from me, clipping through the tunnel. Then I see the beam effect shooting me from outside the map. I disconnected the “Change Location” function and the spider behaves like you’d expect now, except of course, he can’t climb the walls. If you’ve allowed player movement, the spider will use all 3d space to follow you, meaning, he appears to hover/walk on thin air. Kind of a bummer. But I’ve only enabled movement for debugging purposes, and for now I’m placing he spiders by hand on the floor. 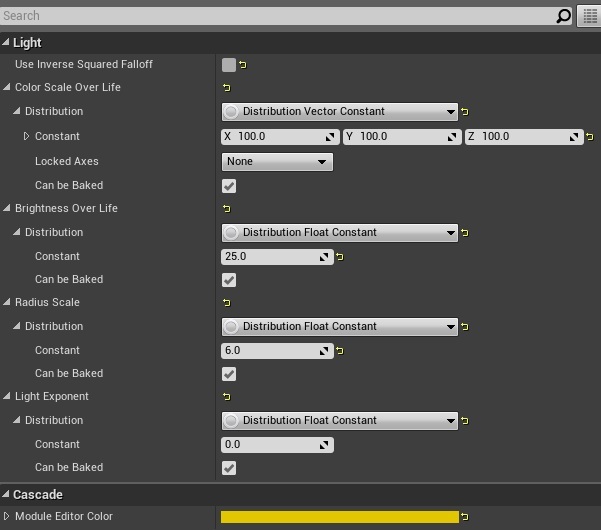 As far as the anim blueprint, create a fresh one and simply plug in your walk forward animation. Then plug the anim blueprint into your Spider enemy blueprint. He’ll always play the walk animation until he’s in attack range. Once in range he’ll loop the attack animation you specified in the event graph. You can adjust the speed to match your walk anim in the “MoveForward” event, change the number in the multiply node that’s getting plugged into “Make Vector”.